In the last four decades, with the growing interest in critical theory, scholarship in the arts has undergone a radical transformation. Seeking to develop ideas and discourses beyond those generated by linear historiographies, scholars in the history of art and architecture, film studies, performance and theater studies, musicology and other disciplines turned to critical theory and philosophy, applying them as methodologies for analysis and critical reflection on these fields. While this resulted in new and innovative scholarship, it also blurred the boundaries between various disciplines and often eradicated necessary differences between them. In this conference, we would like to examine the question of the level of expertise necessary in conducting research in a specific field. In an interdisciplinary era, how can we define media-specific knowledge? Or should we speak of defined knowledge, specific to any artistic media at all? What should be the relationship between critical theory and media specificity? And how can they be applied to each other? Can an object determine the theoretical leanings of its field of research? What are the advantages and disadvantages of a multidisciplinary discourse? Are certain methods or discursive analytical tools ?better? for different periods of time? In what way do the so-called Linguistic-turn and Visual-turn delineate critical methods and meanings of the artistic or ephemeral objects? What are the theoretical perspectives for discussing the contemporary? In architecture, the digital realm is largely seen as a formalist approach to generate strange shapes, or as a parametric system of control for very complex projects. Zaha Hadid’s works and Gehry Technologies software are emblematic of this two approaches. In product design, due to the smallest scale of the objects and the processes of industrialization, it has always been easier to challenge complex objects and forms thru more empiric processes. The degree of innovation and the success of a product are largely due to the management and control of the production process. To be innovative in product design, the digital approach has to challenge new scenarios. More and more the new scenarios move away from straight product design towards the direction of complex multi-systematic process design. The matter designed thru this approach is immaterial. It’s about finding challenging strategies for dynamic equilibriums between different systems: market, sustainability, production, construction, social equity, etc. The designer doesn’t work just on forms, he has to work on contents. The role of the designer is becoming the one of the mediator that negotiates the design process, works on the conflicting relationships between form and use, and takes strategic decisions, transforming the final product in a statement of ideas. To be innovative, the digital discourse in architecture should move away from form production and parametric control, and begin to consider a policy of forms based on negotiation and diplomacy in design processes and form generation. The first architectural projects that can be addressed as “digital “are from the midst of the ‘90s. Fifteen years ago digital designs were less appealing than today’s: rendering engines were less powerful, design algorithms were less performing and designer’s skills were less developed. Nevertheless, those projects contained such an innovative approach and image power that it was very easy to think that a “new wave” in architecture had come. Today, the quality of digital design is much higher. Nevertheless, the projects begin to look all the same. A few families of architectures emerged in these years: blobs, continuous surfaces, parametric designs, shapes derived from flow analysis… But the feeling is that all these projects are very fascinating, but that they are losing the innovative ideas upon which the first digital designs were based. A series of design routines and protocols emerged in these years. A designer who knows the direction that will take his work has the only problem of finding the correct routine to apply it in the design process. Digital design is becoming bureaucratic. After the 1932 exhibit at the MoMA in New York called “The International Style: Architecture Since 1922”i, curated by Phillip Johnson, the innovative ethical contents of the heroic period of the modernism began to lose importance while formalism became the important thing. It was the beginning of the International Style. Today, there is a process of homologation of worldwide research in architecture similar to the one of 1932. The hyper mediated contemporary world is a lot different from the world of the thirties, and processes of globalization occur in all disciplines. Globalization by itself it’s not a bad thing. The bad thing is to see a discipline closing in itself. And one of the risks of today’s digital architecture is to become a self-referential discipline. If architecture becomes just an interesting investigation of techniques and forms, then it loses a very important feature of its nature: the one of addressing real problems and taking positions. The one of being political. Technology is important. Barack Obama raised a never seen before amount of votes during his campaign to the presidency of the United States also by the use of very technological tools like Facebookii. He is the first president using a Blackberry and using all possible digital instruments not only to accomplish everyday tasks, but also to communicate in a very innovative way. He claims for a smart use of technology, setting up an approach very different from the one of optimization so common to the everyday use of consolidated protocols, used to optimize processes and standardize complex operations by the creation of automatic routines in a technological bureaucracy, or technocracy. Technocracy assumes generally that to run a process, it’s a matter of finding the right technology, and apply it in a correct way. Obama’s campaign can be seen as a demonstration that technocracy by itself brings nowhere: to really make a point it is fundamental to have a political program. Before to speak about politics in design, it is important to figure the concept of “design experience”. Let’s consider the action of producing design. This action needs a performer: the “design team”, which is the group of people involved in the design action. It includes authors, clients, sponsors, communities for which, and sometimes, with which the design action is accomplished, builders or constructors, specialists and consultants, and any other people involved within the design action. Then, the action needs a procedure: the “design process”, which is the procedure that includes all the strategies adopted by the design team to finalize its tasks. It’s a matter of budget, techniques, capacity of understanding the problems and to propose and negotiate answers to the problems, and any other activity that can be adopted to organize the design work. The “design team” set up a “design process” in order to produce a final design, which is classically characterized by two aspects: “form” and “content”. The “form” is the material actualization of the “design experience”. It is something that can be experienced thru the five senses of perception: touch, sight, smell, hearing and taste. It has material properties, dimensions and shapes. The “content” includes the immaterial issues that emerge from the “form”. It is the “signified” of a Saussurian linguistic signiii. It can be a story, a program and any other abstraction embedded within the design itself. A way to clarify the concept of politics in design is to run a short analysis on a movie, using the concept of “design experience”. The good thing of exploring a movie is that, despite the fact that it’s not a typical design production, the processes of its making can be considered as a “design experience”. The “design team” is formed by the incredible amount of people working on the project: authors, characters, directors, photographers, producers, any kind of helpers… The “design process” is the organization, the shooting and the editing of the movie production. The “form” is the movie itself as a final product. And the “content” is the history and the themes raised by the plot. “Slumdog Millionaire” is a 2008 movie. The “design team” includes the director Danny Boyle, the screenwriter Simon Beaufoy, the co-director Lovelen Tandan, the two child actors Rubina Ali and Azharuddin Ismail, and another few hundred people which participated at the realization of the movie. The “design process” has been developed within a 15 million dollars budget. The preparation has been done partly in England, partly in the Unites States and partly in India. This preparation started from the adaptation of the novel “Q and A” by Vikas Swarupiv in a theatrical script that mixed up western and Indian cultures in an unexpected intercultural scenario. The filming locations included shooting in Mumbai’s megaslum and in shantytown parts of Juhu. The castings have been made between the western and the Indian scenarios. The “form” of the movie is a 120 minutes video. Photography, soundtrack, leaflets, posters and cinema tickets are the matters of the design. The “shape” of the movie is very special: it contains full references to traditional Bollywood movies, but it never falls in any stereotype. The non linear way in which the story develops with continuous flashbacks from present to past creates a very dynamic atmosphere. The taste is very global and very Indian at the same time. The “content” is the history of Jamal Malik, an 18 year-old orphan from the slums of Mumbai, who, with the whole nation watching, is just one question away from winning 20 million rupees on India’s “Who Wants To Be A Millionaire?”. But when the show breaks for the night, the police arrests him on suspicion of cheating; how could a street kid know so much? To prove his innocence, Jamal tells the story of his life in the slum. Each chapter of his story reveals the key to answer one of the show’s questions. “Slumdog Millionaire” is an amazing “design experience”. All the elements of the design challenge the bureaucracy of a normal cinema industry: the composition of the design team, the complex process adopted in the production, the form and the contents of the final product. All the elements of the design have been specially forged according to a very clear, yet complex, design politic. All the negotiations that occurred within the team during the design process have been addressed to a very sharp idea of interweaving cultures. It is not about India or colonization. It’s all about new political visions of a globalized India. Going back to a more traditional design action, in the frame of the Torino 2008 World Design Capital summer School, a students workshop called “Prototyping the City Design Studio” took place in Turin in july 2008. The “design team” was composed by 33 international students, 3 project leaders, 1 local coordinator, 1 expert, 2 assistants and 1 local constructor. 42 people in total. The “design process” has been structured to face a real challenge: design and produce a unique full scale installation in the Officine Grandi Riparazioni in Turin within two weeks using a collaborative method, with a rhythm of 14 working hours a day, totalizing 7,056 working hours. Collaborative design can be very stressful, but also extremely rich. The distribution of authority and power in the design team derives from a diplomatic process of self-organization in which every individual finds its own place. The “form” actualized itself in an incredible series of drawings and digital models, 6 final panels and presentations, a large amount of small scale analog models, 3 rapid prototyped models, a quite impressive amount of full scale test pieces and a wood installation which became part of the Torino 011 exhibition path inside the Officine Grandi Riparazioni. The shape of the pavilion was not easy to define, and the final user had to find out himself how to use the space, invoking a diplomatic approach between its own body and the hardware of the structure. The “content” was to produce a full scale installation that would act as a prototype of urban architecture, using an eco-systematic approach, advanced parametric design tools and a quite traditional construction technique. 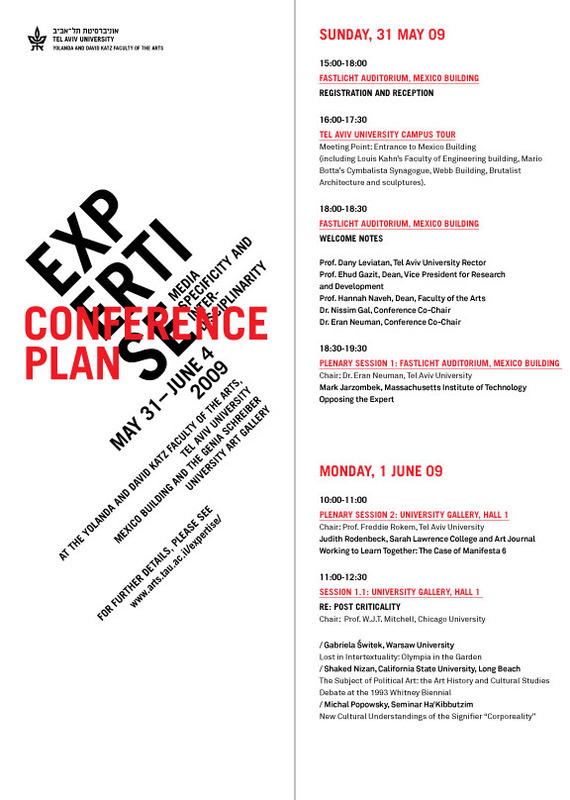 The exploration went thru the following themes: connections detailing, environmental ecology, program definition, parametric design, urban research, structure prototyping. Another issue raised by the pavilion was the resolution of possible conflicts like: digital/physical; design/fabrication, form/function; natural/artificial, designer/user, designer/designer, fabrication/time. The success of this experience was not the production of special assignments in the fields of parametric research, or the exploration of new ecological non linear systems, and not even the setting of new building techniques. The success was measured as the capacity of mediate, negotiate, be diplomatic in a consistent way. The design team has been able to accomplish its difficult task because all the decisions were driven by the political idea of interweaving very different cultural approaches in order to close up to a new design action. More than the concrete materials that have been produced, the real legacy of this workshop is the sense of managing design diplomacies that all the participants gained during these two weeks. Innovative architects are called to answer a few questions that go far beyond the mere exploration of digital tools: what can we learn from the number of possible conflicts that emerge in a complex design organization? How do we negotiate diplomacies in order to be strategic in the development of a design process? Which are the politics that we have to explore in order to challenge existing stereotyped bureaucracy? Can we be politically digital? Cesare Griffa studied and worked in Turin, Rome (Italy) and London (U.K.). He graduated in architecture at the Turin Polytechnic in 1997, he got a master degree in design (M.Arch.) at the Architectural Association in 2002 and a Phd in the Turin Polytechnic in 2006. After working for Zah Hadid Architects and other big firms including Arata Isozaki and Partners, in 2005 he based in his own practice in Turin, where he also teaches Design Theories in the Faculty of Architecture of the Polytechnic. He has been consultant of the Torino 2008 World Design Capital Organizing Committee, and author of the book “La Città Cibernetica” (Meltemi Editore, Rome 2008). ii Brian Stelter, The Facebooker Who Friended Obama, in The New York Times, Jul 7 2008.